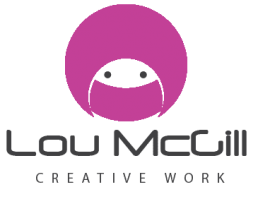 A couple of years ago my partner Tim Gray started a series of work featuring and re-imagining the story of Mordred (King Arthur’s son). One of the first things he did is what he calls a sketch of Mordred. I absolutely fell in love with it. 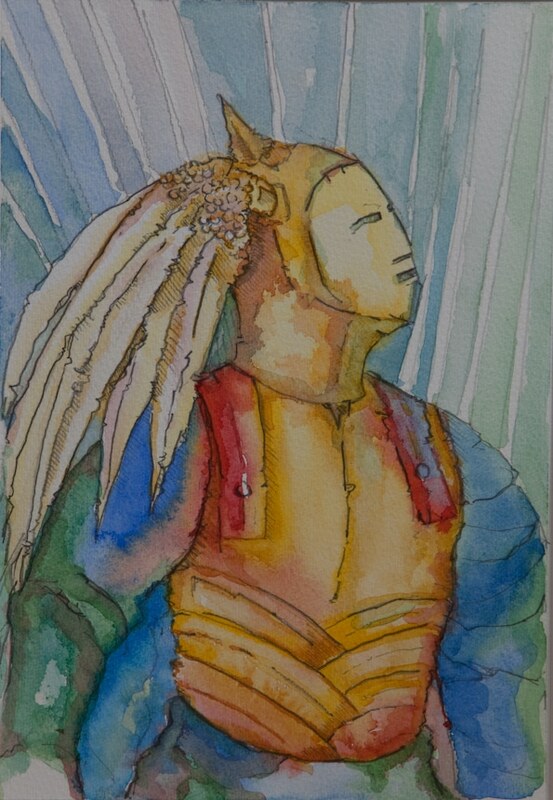 He had used watercolours to bring life to the drawing and you can see how awesome it is in the photo. 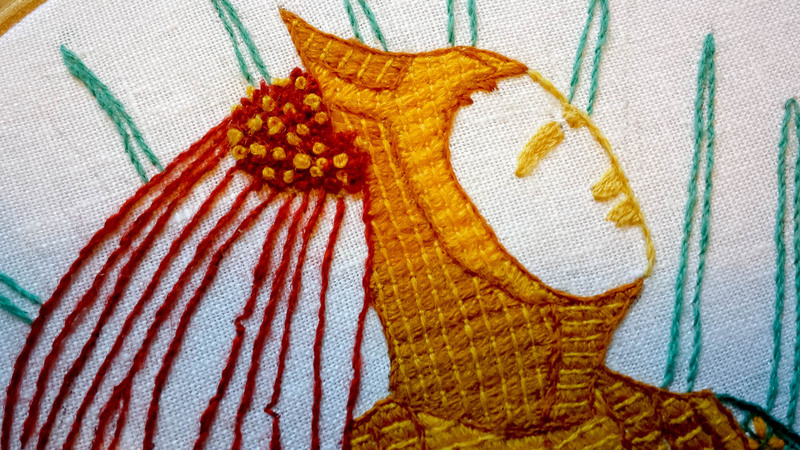 Since then I have been experimenting with crewel embroidery and was keen to have a go at Bayeux stitch. 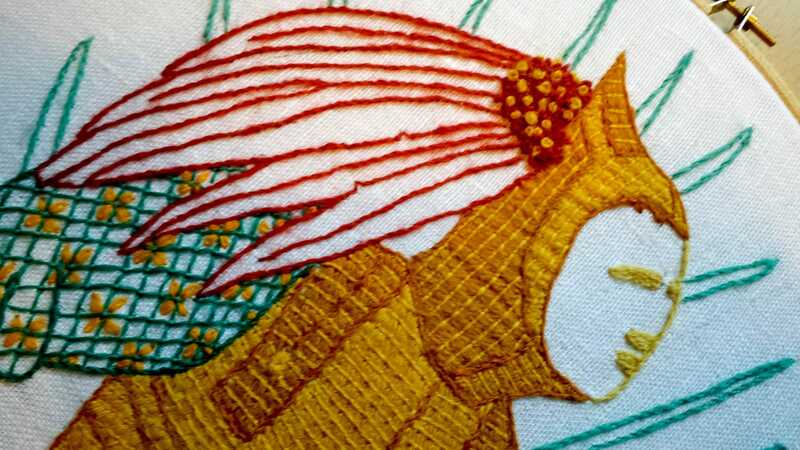 This stitch was used in the medieval Bayeux Tapestry, which is not actually a tapestry but is crewel embroidery. 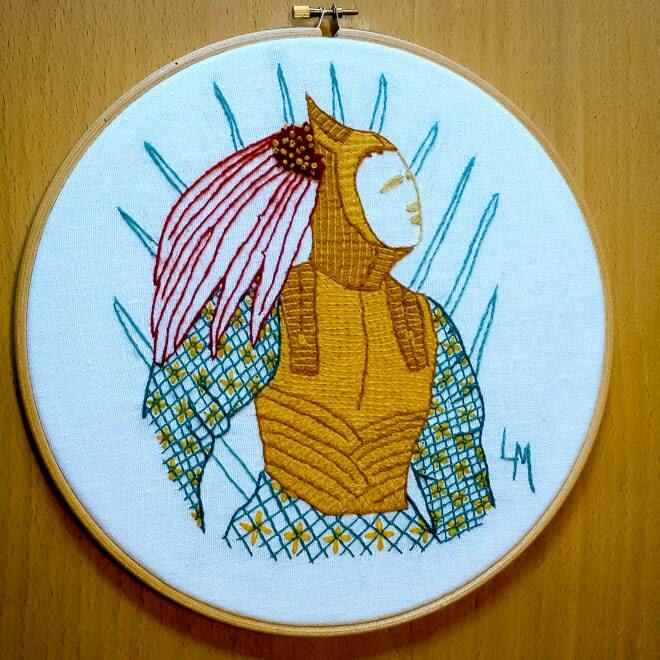 I decided to recreate Mordred in crewel embroidery for Tim as a Christmas present. 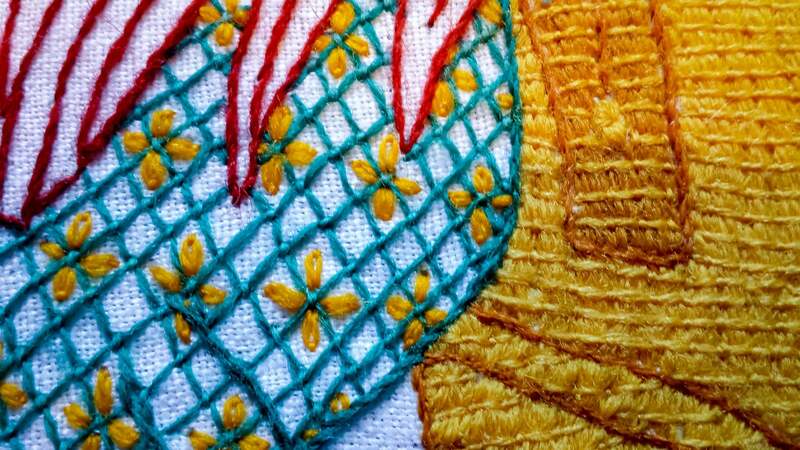 Using the Bayeux stitch seemed very appropriate for a medieval theme so I used that stitch for Mordred’s armour, along with trellis stitch, split stitch, chain stitch and french knots for other elements of the design. It was not possible to recreate the watercolour effect using these stitches so I opted for a fairly bold palette. This was the first time that I actually ordered new crewel wool (rather than using bits from remnants ordered on eBay.  I found this quite nervewracking as well as fairly exciting. 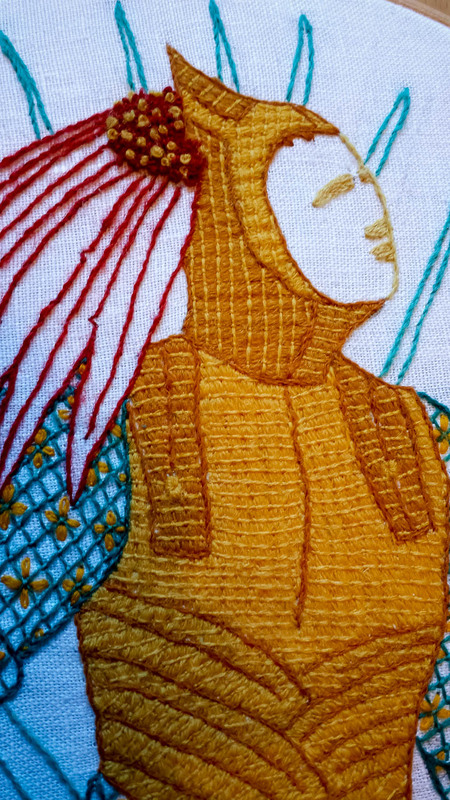 I really enjoyed making this piece and felt that the use of the Bayeux stitch was very effective for the armour. It is quite a heavy stitch so I used lighter stitches elsewhere to balance it out. I had planned to use feather stitch on the feathers but once I had done the outline in the vibrant red I thought it didn’t need it. The only bit I am not keen on is the background. I would do this differently in future, but overall I am quite pleased with this as a first go at transforming Tim’s artwork into embroidery. We both fancy doing a series together using the Bayeux stitch….